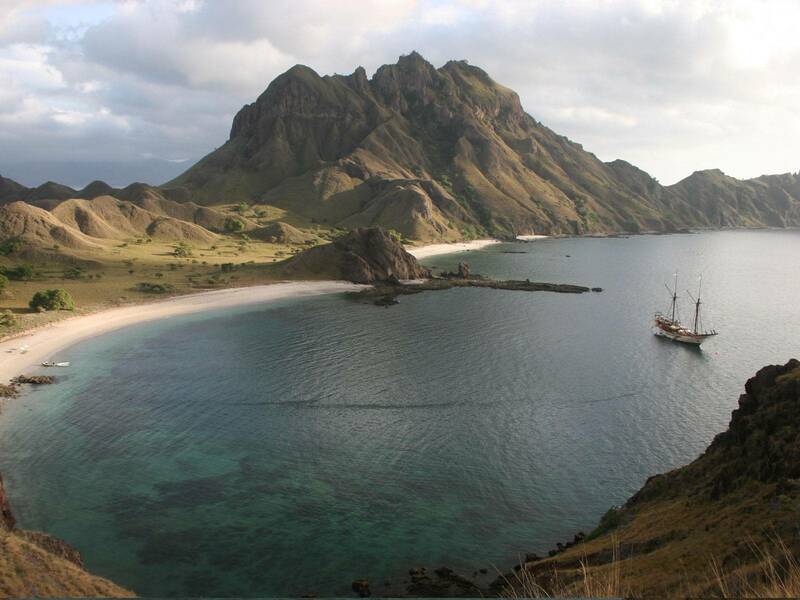 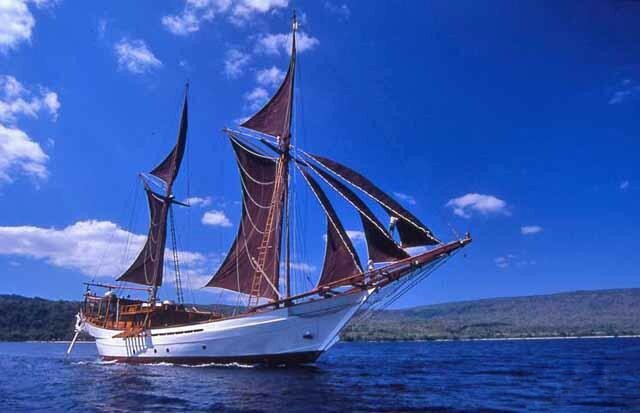 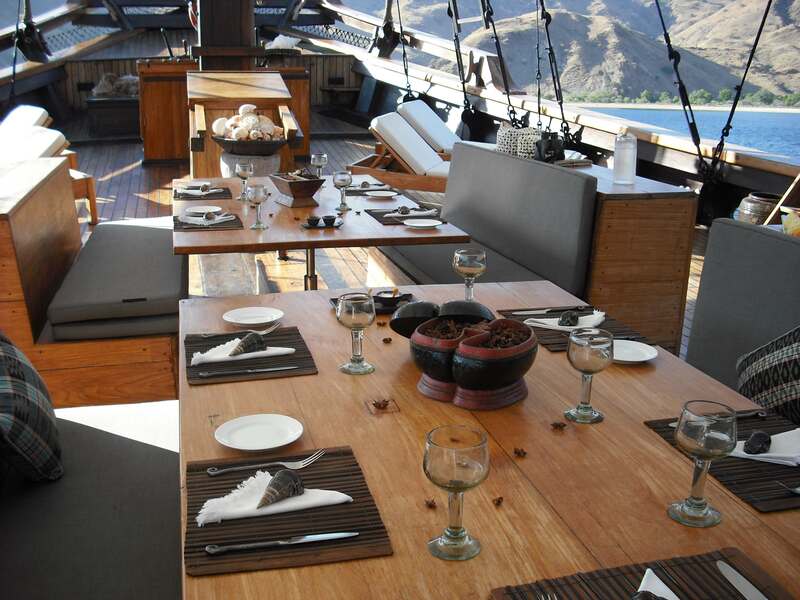 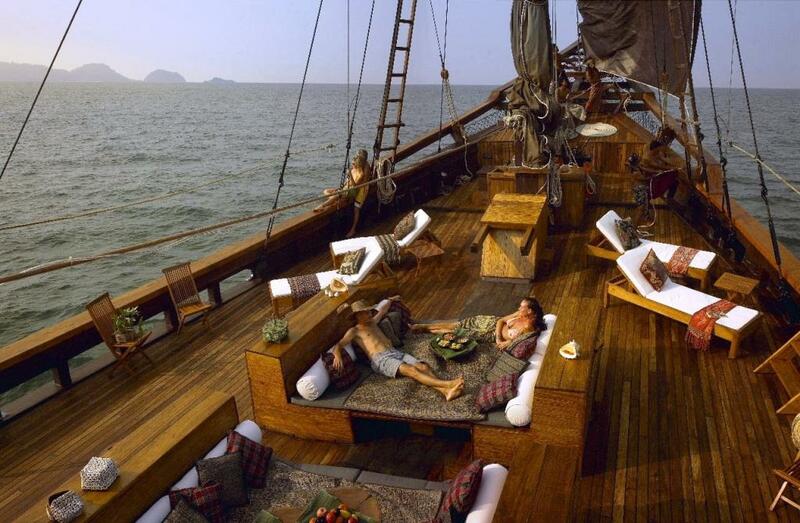 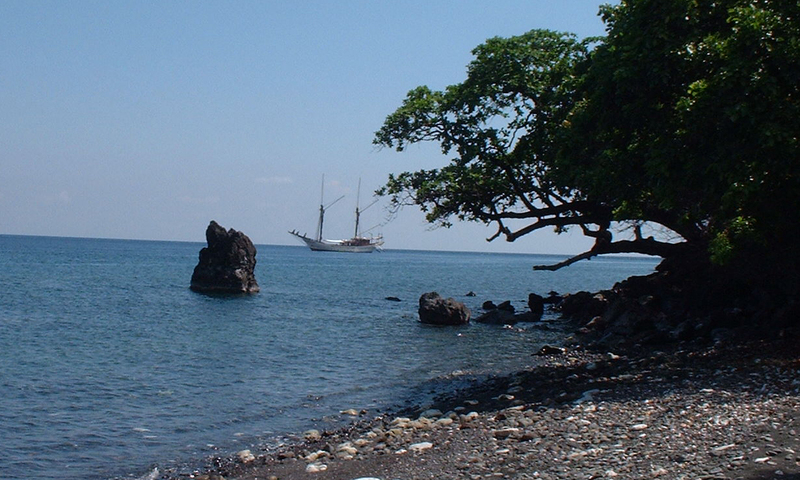 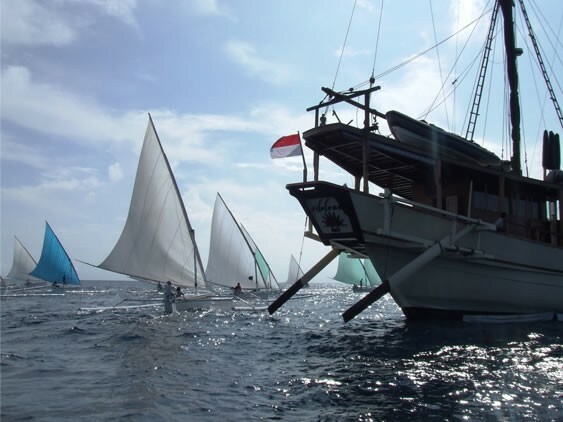 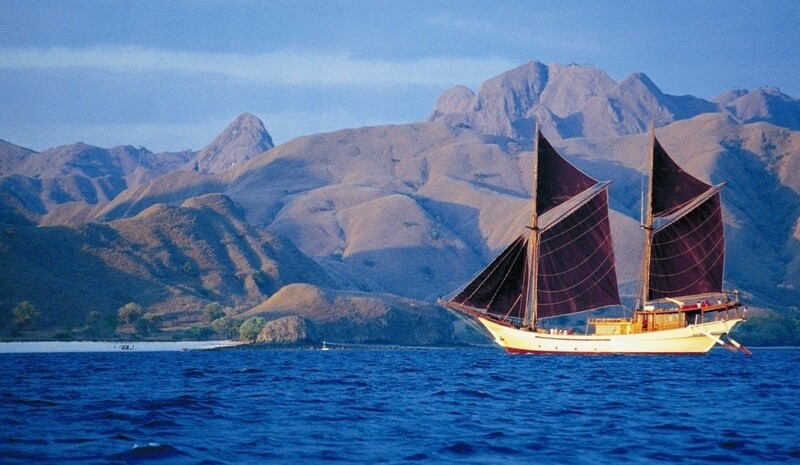 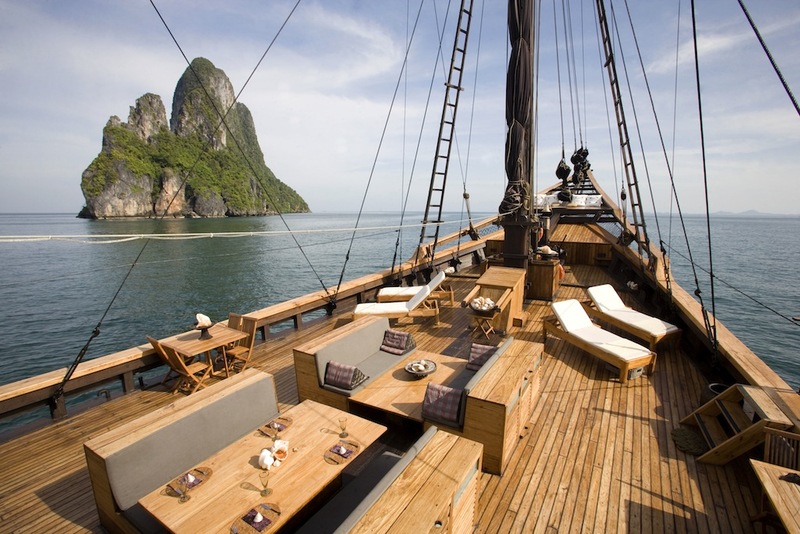 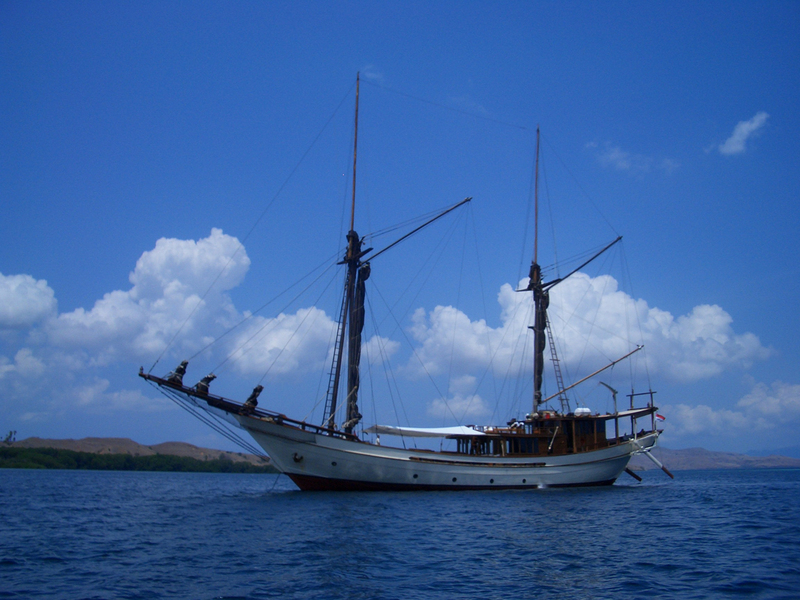 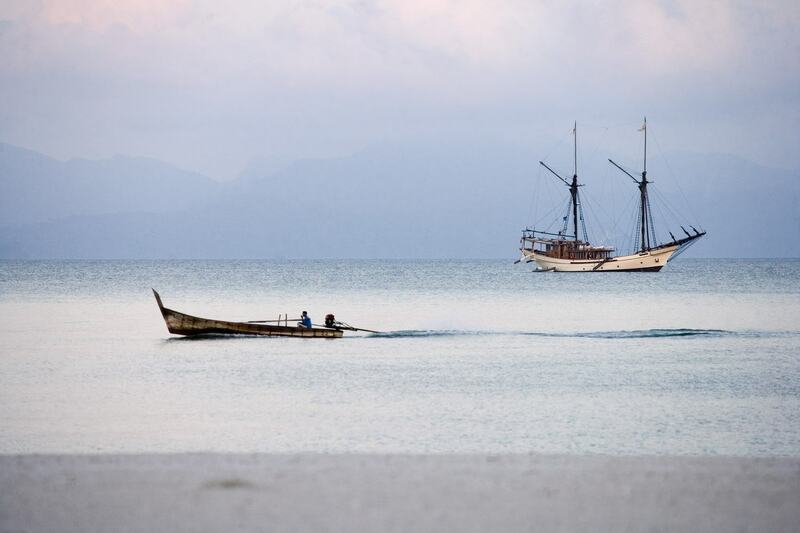 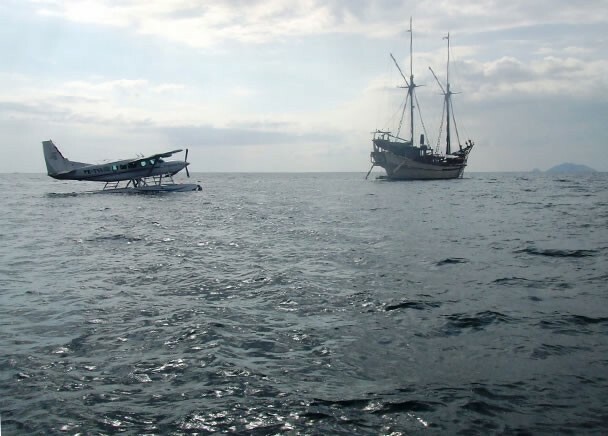 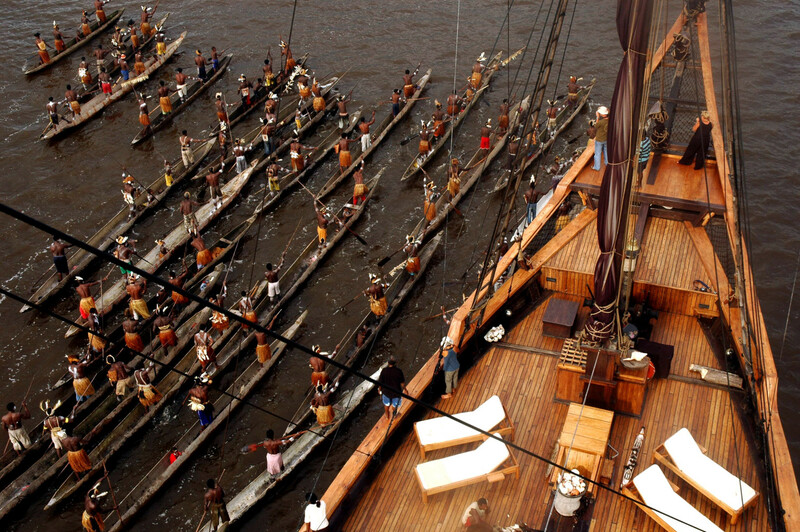 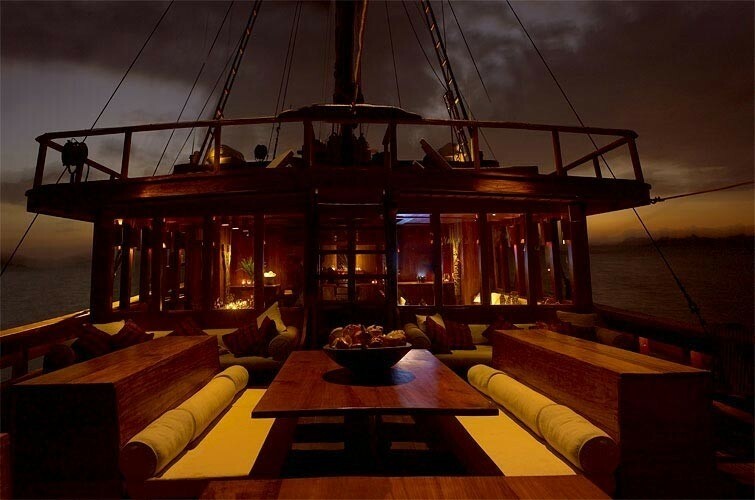 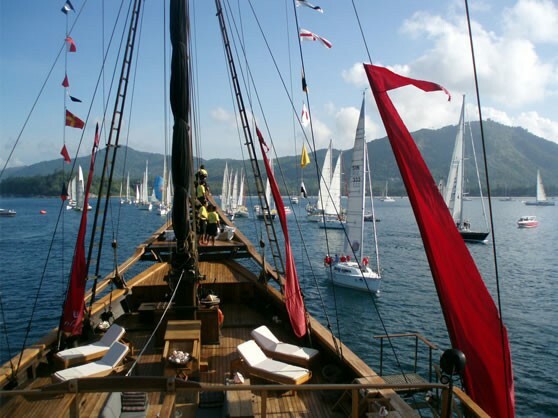 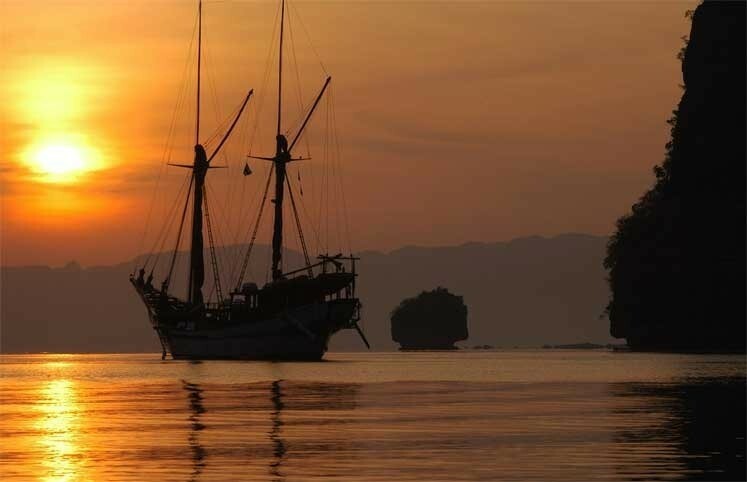 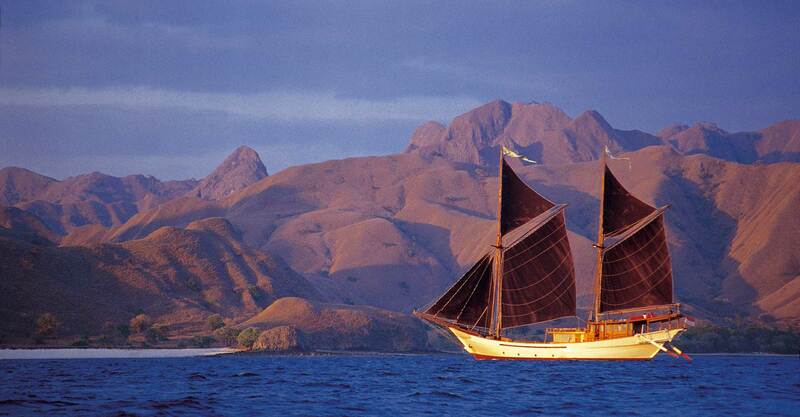 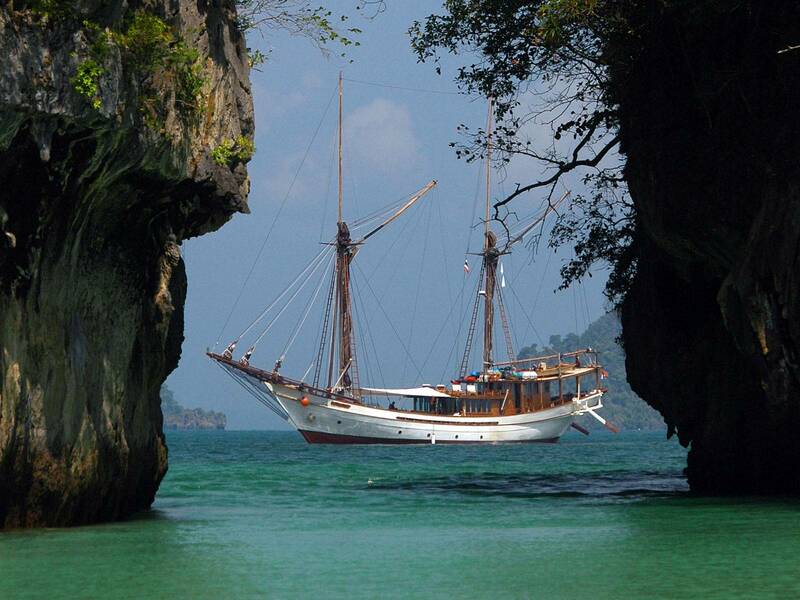 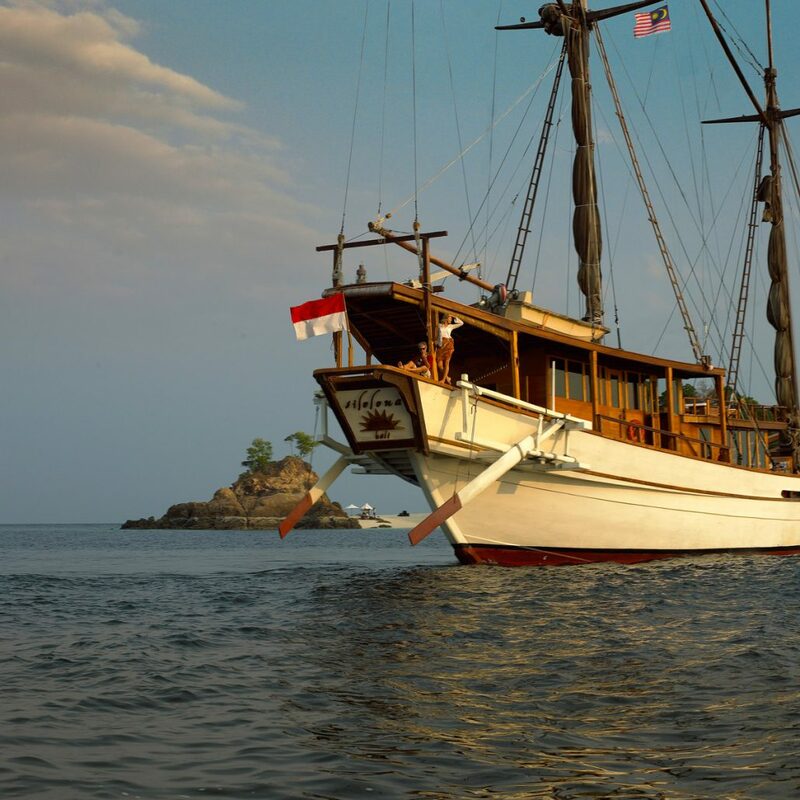 Sailing yacht SILOLONA is a traditional wooden sailboat, called Phinisi, hand-crafted to German Lloyds specifications by the Sulawesi Konjo people and launched in 2004. 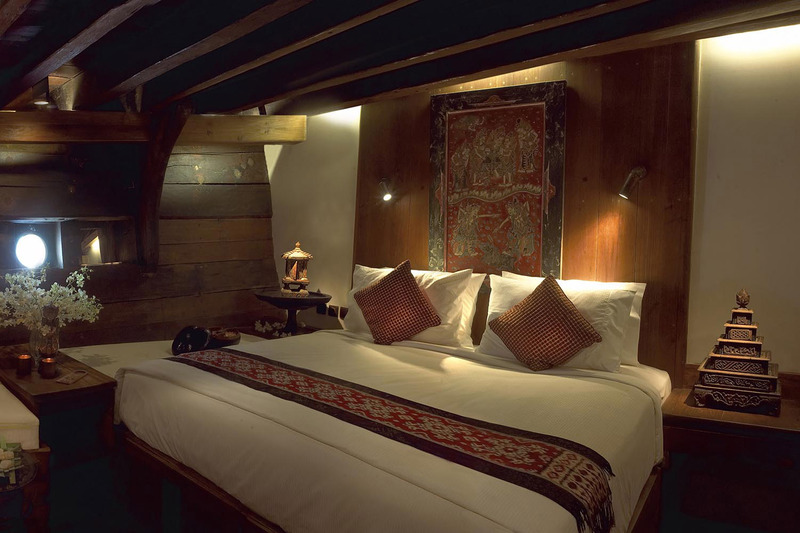 Accommodation for 10 guests in total is provided in three magnificent and tastefully decorated king suites and two beautiful double suites. 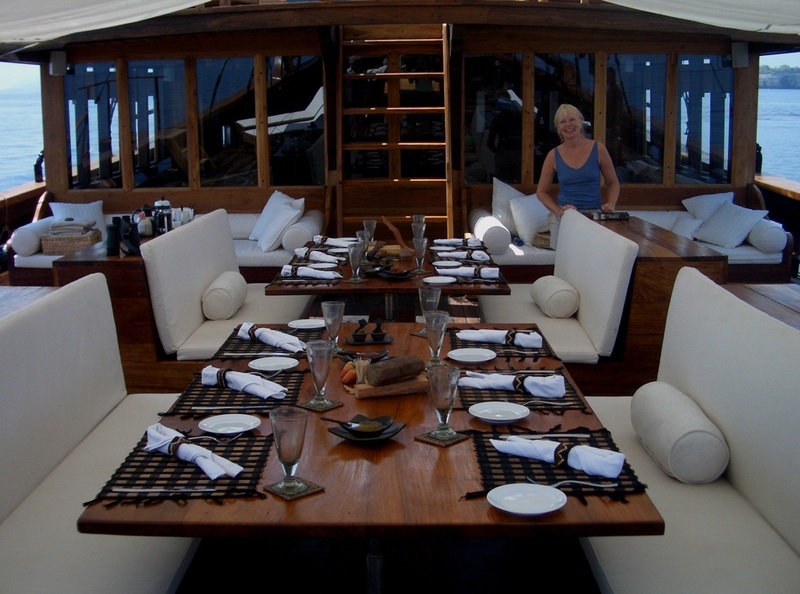 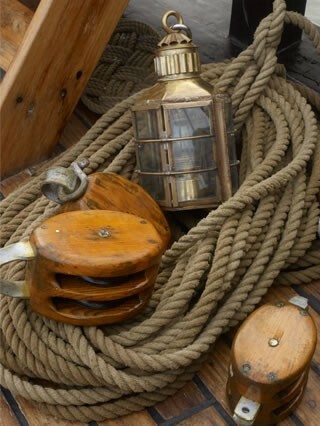 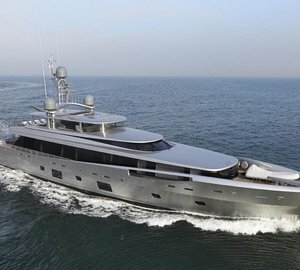 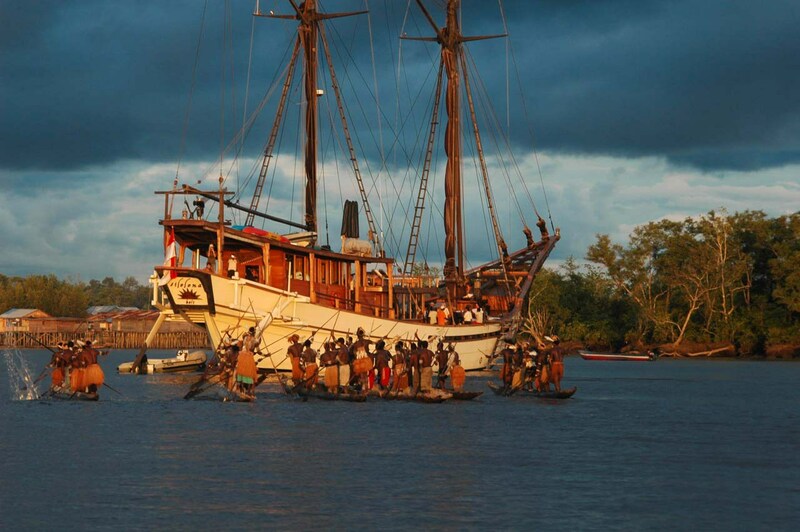 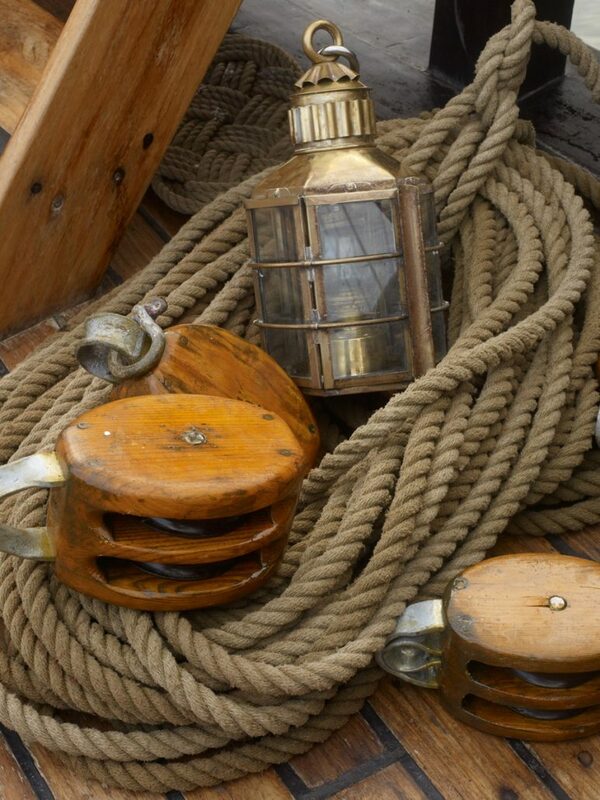 There is a professional and friendly crew of 16 plus the expedition leader aboard. 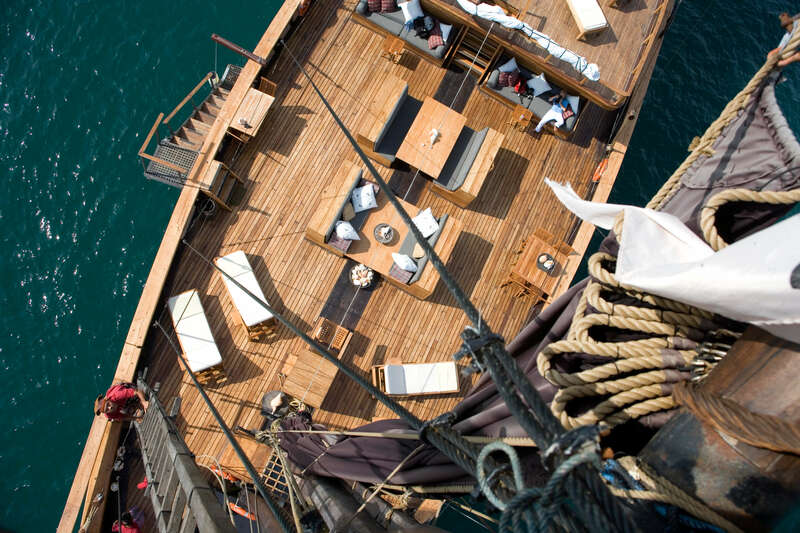 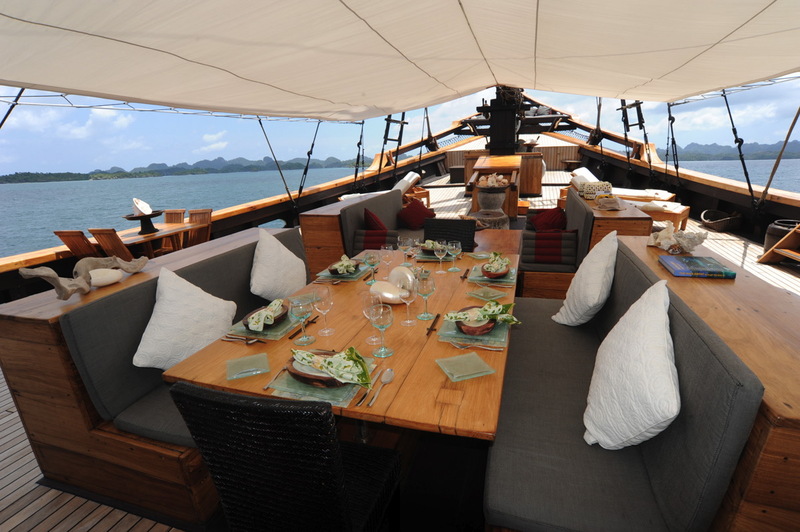 Since her first days of sailing, SILOLONA has surprised more than a few guests with her breathtaking décor, spacious decks, delightful Asian fusion cuisine and the smiles of its professional crew. 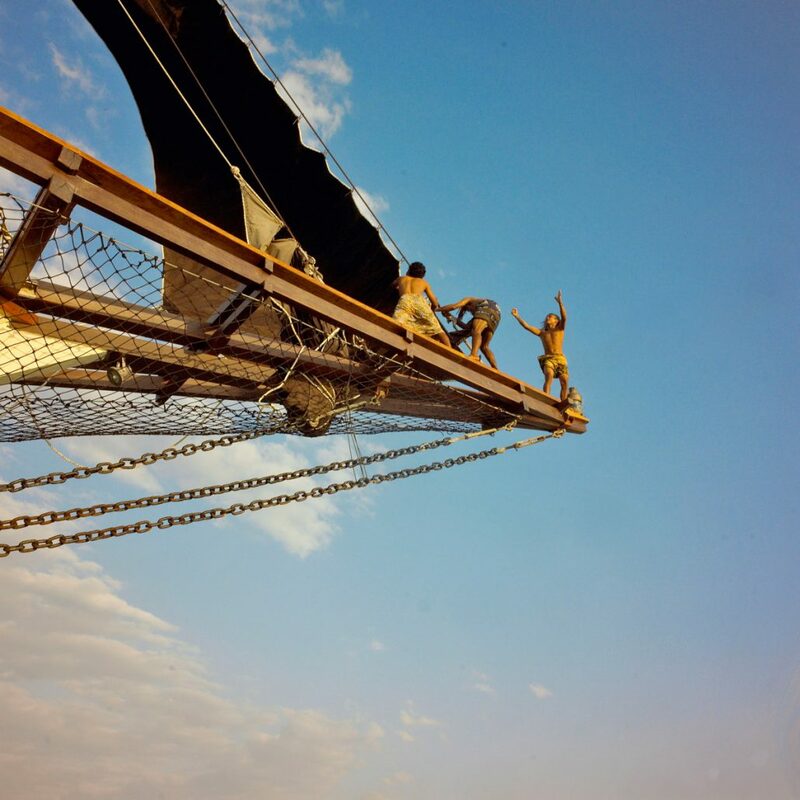 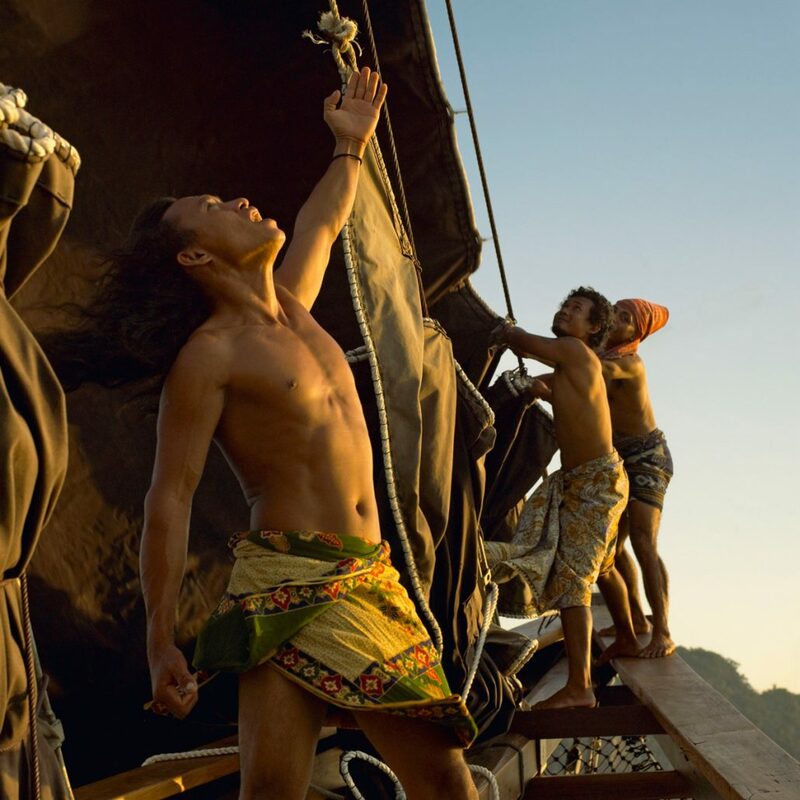 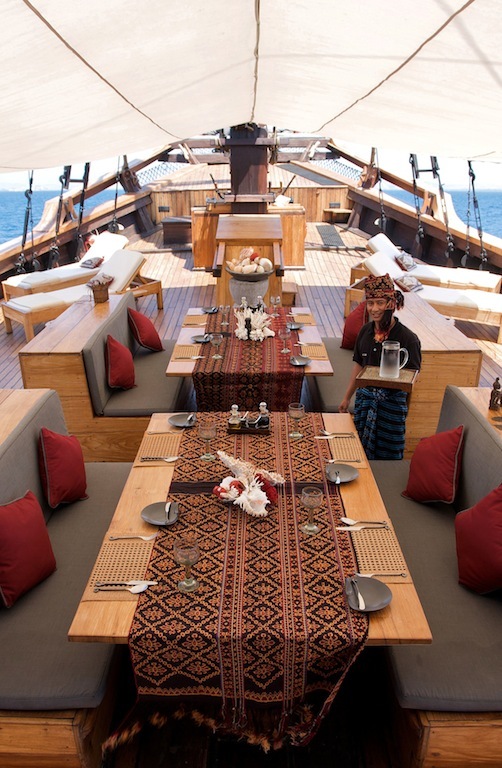 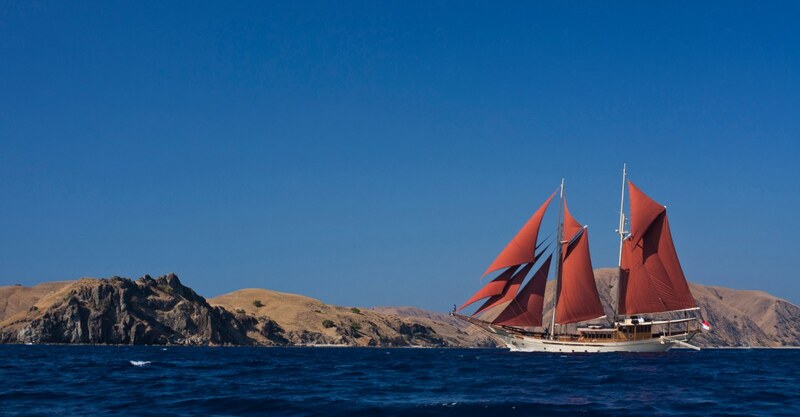 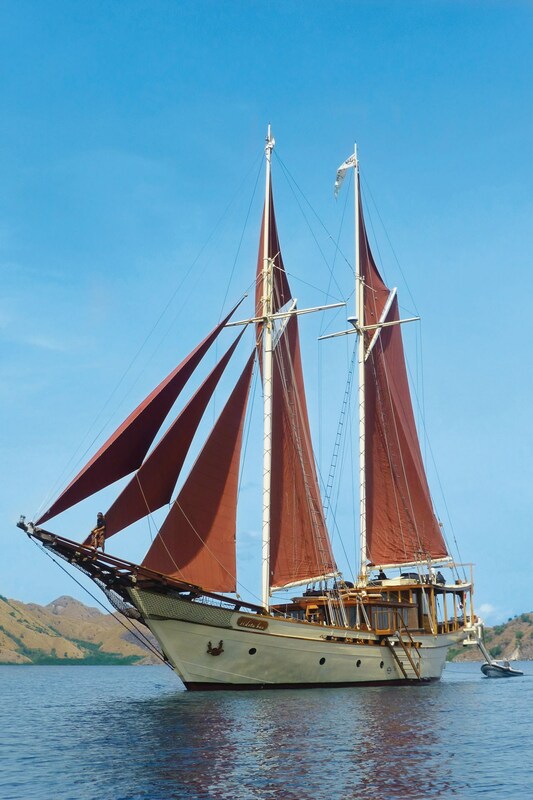 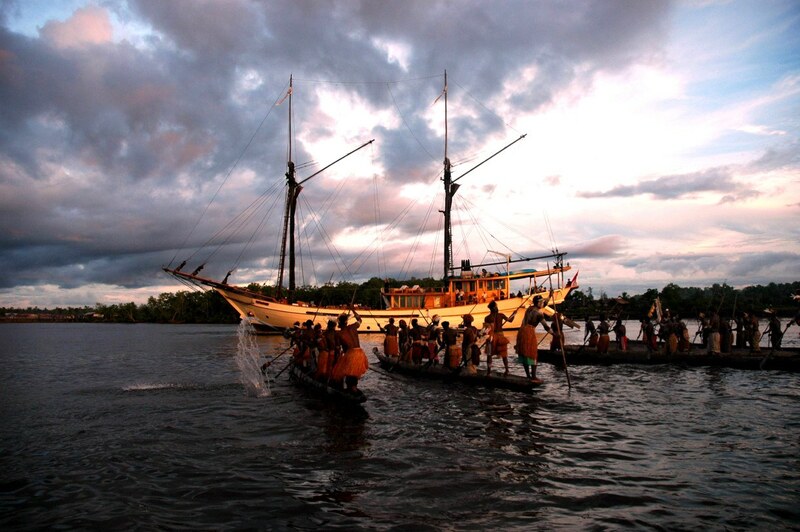 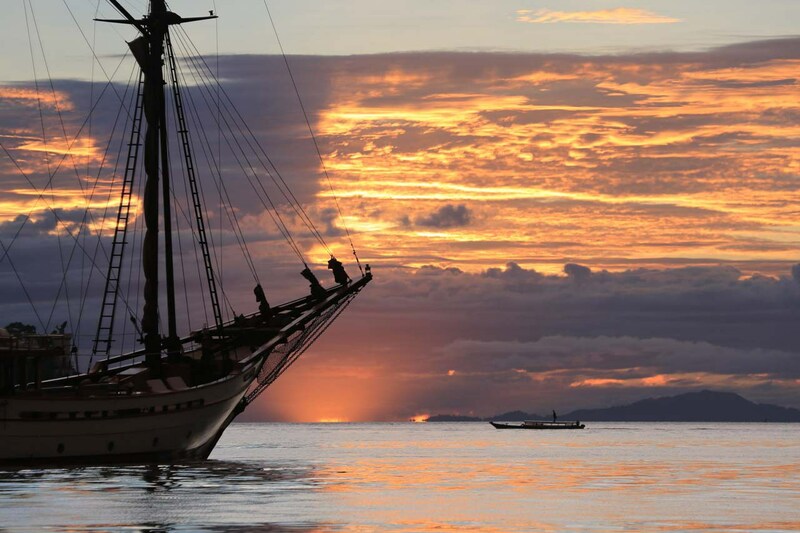 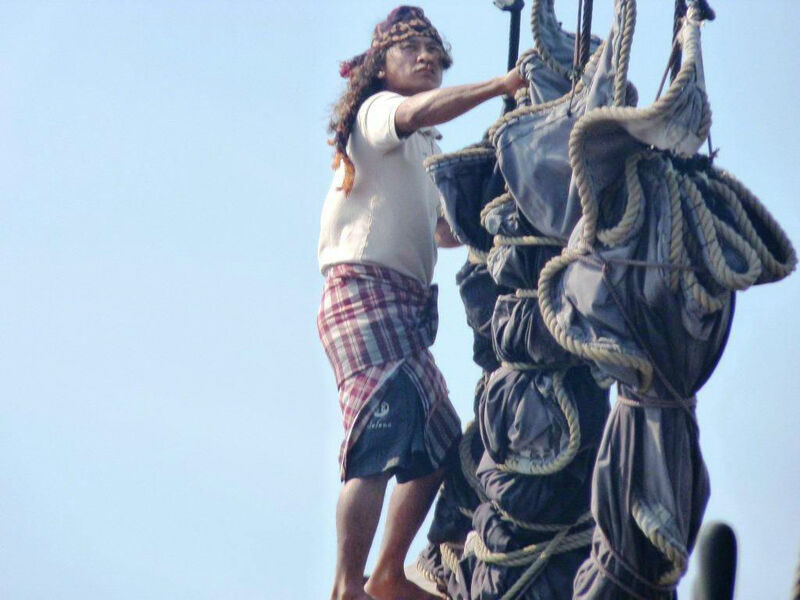 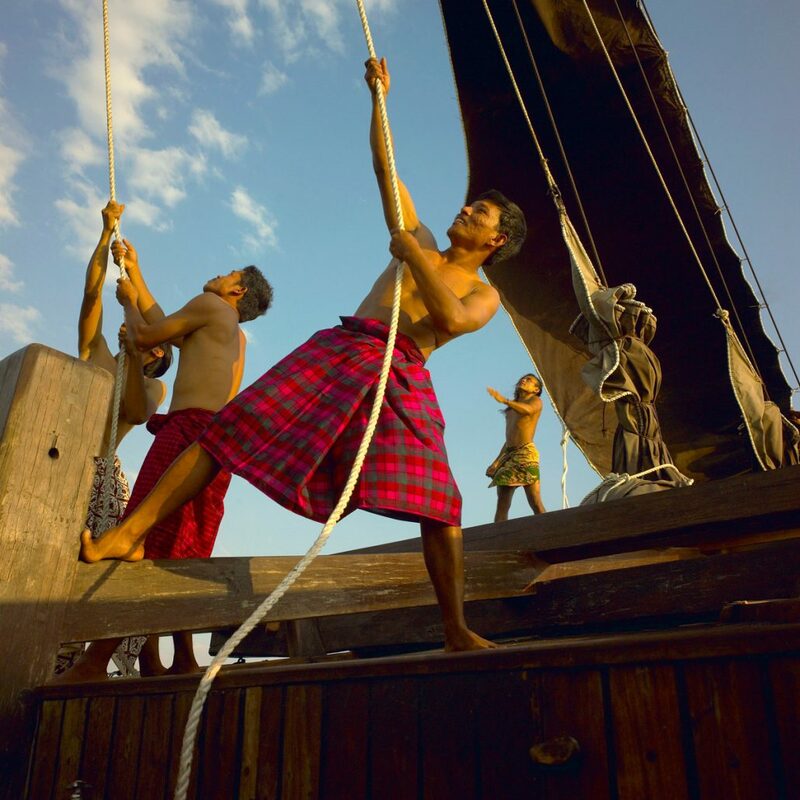 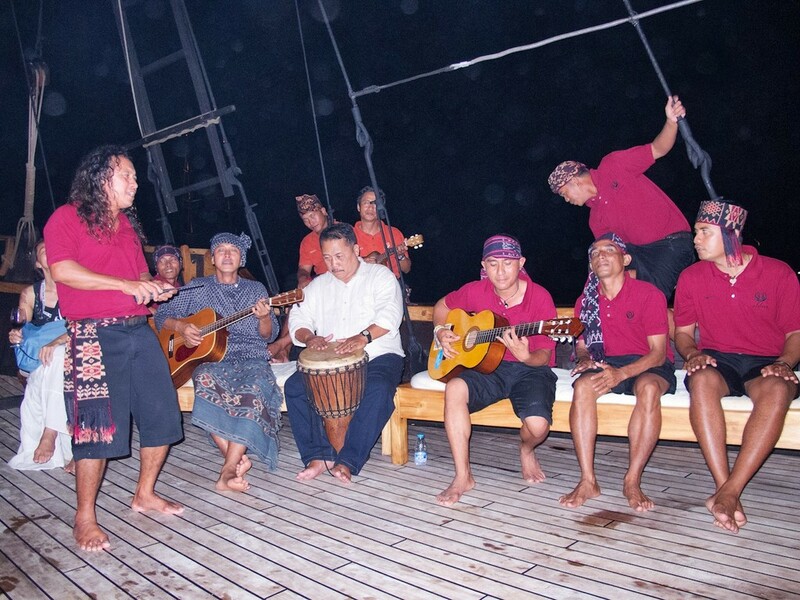 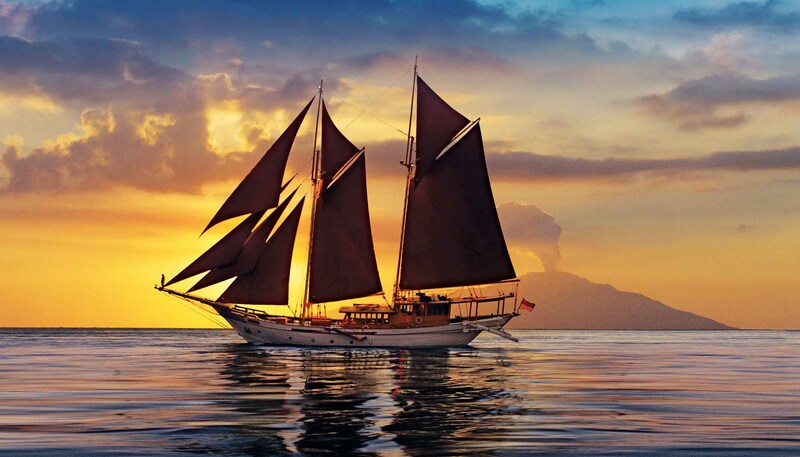 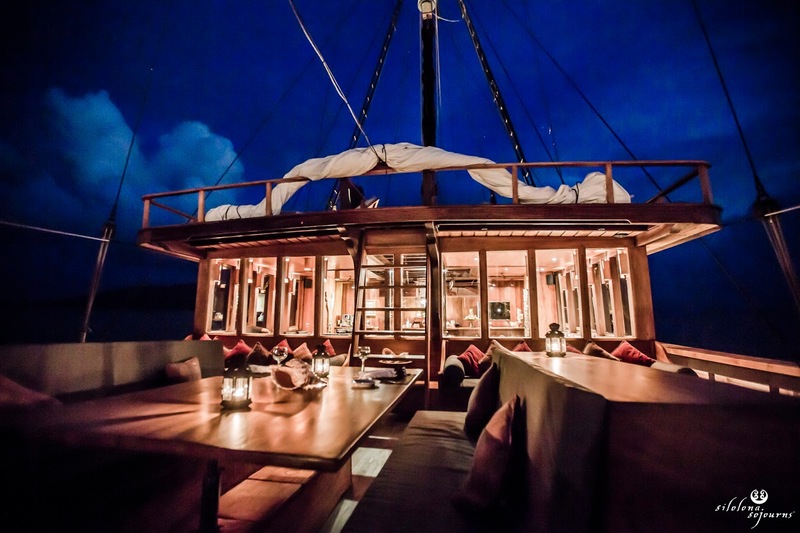 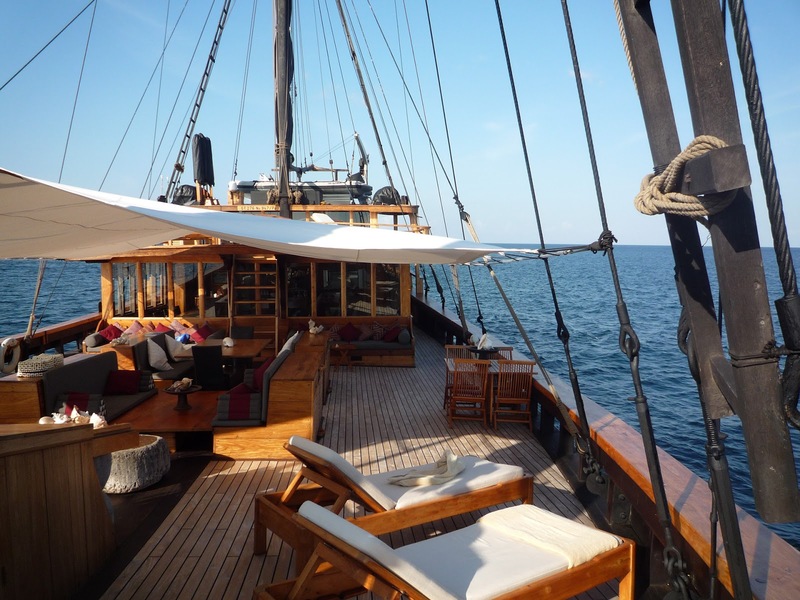 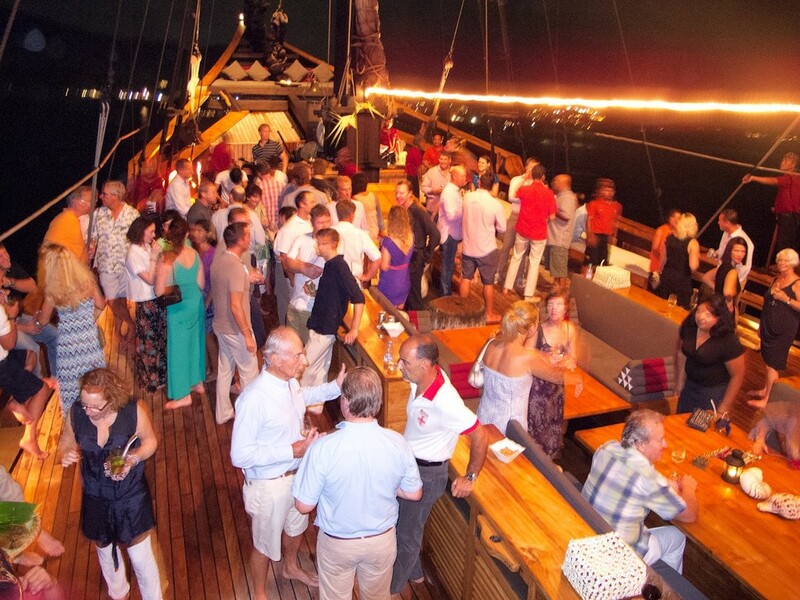 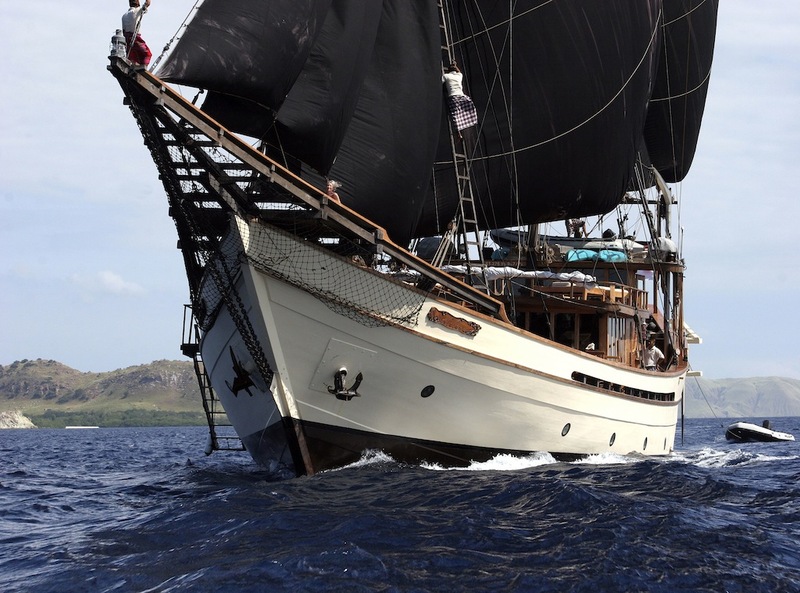 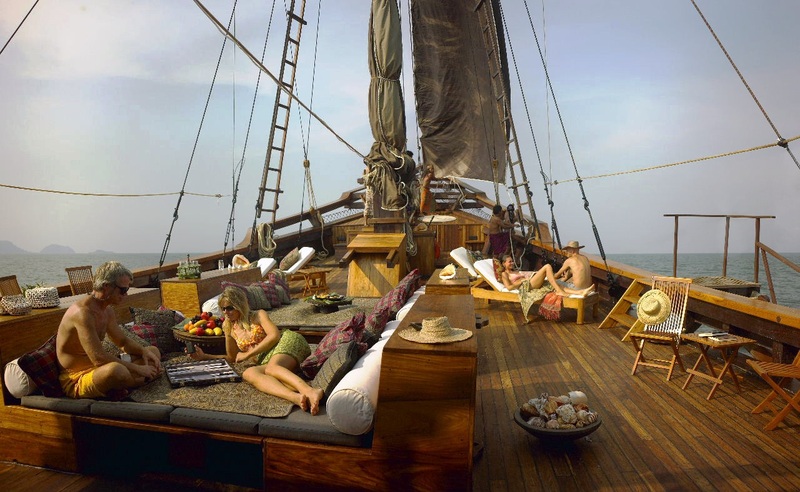 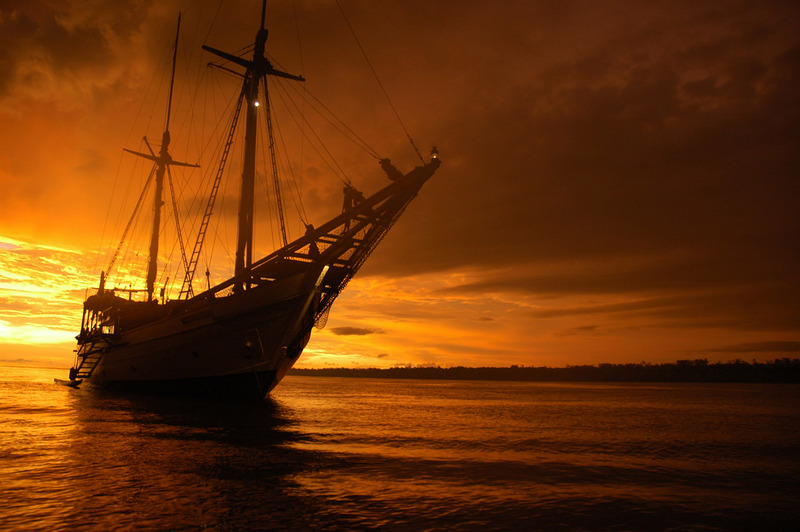 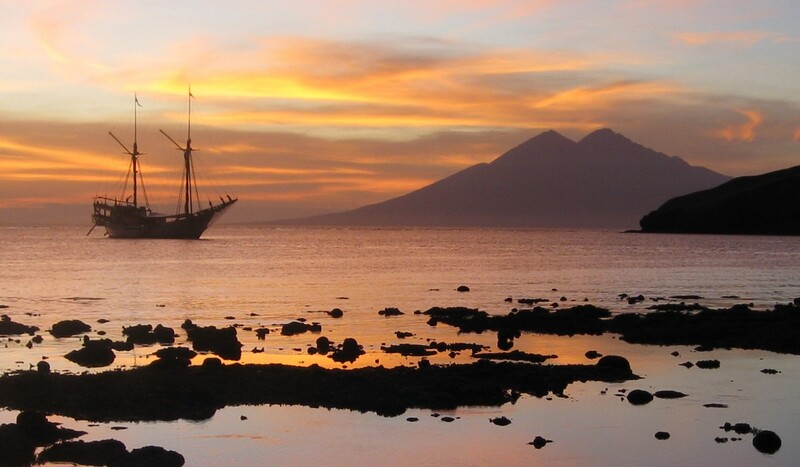 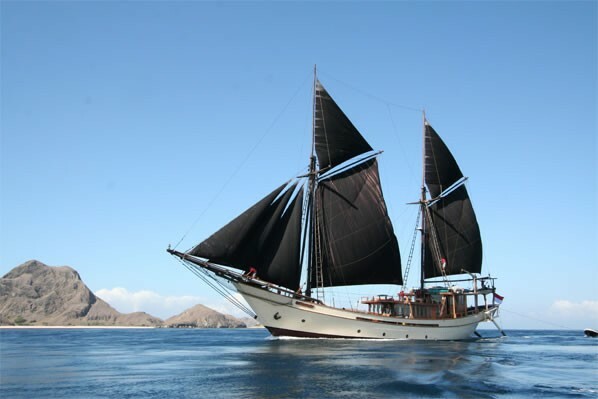 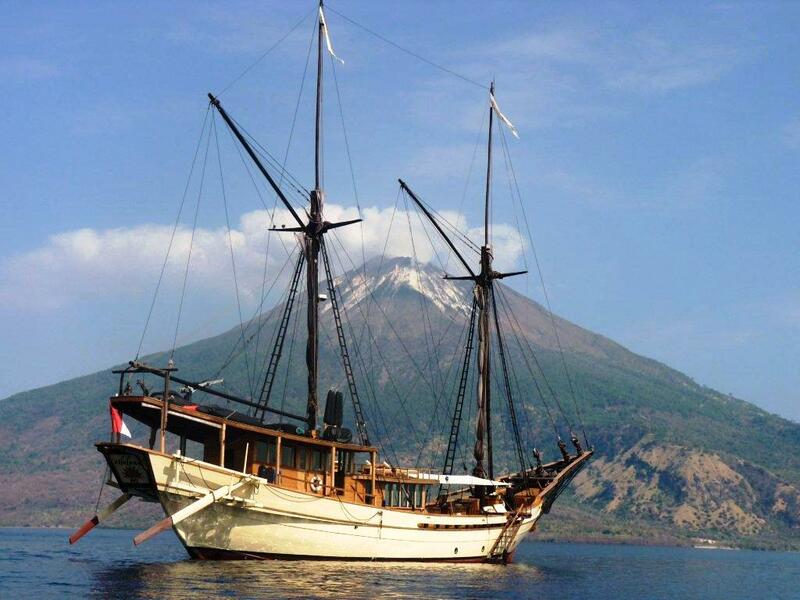 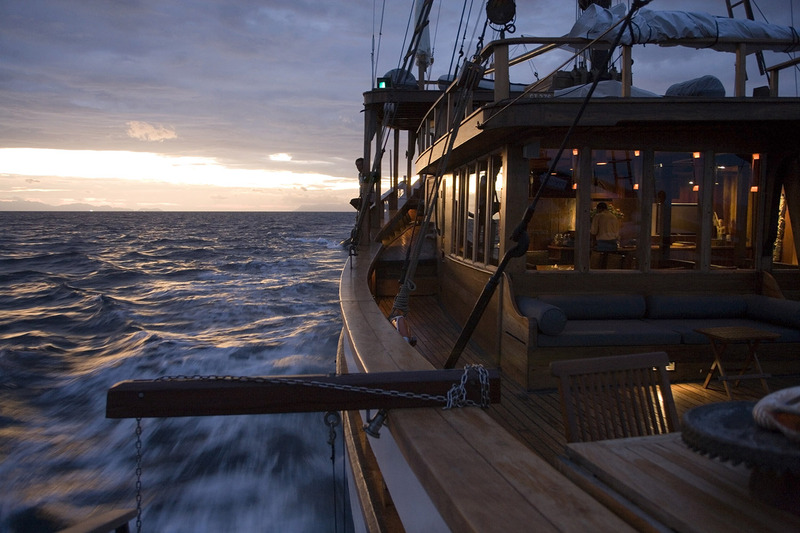 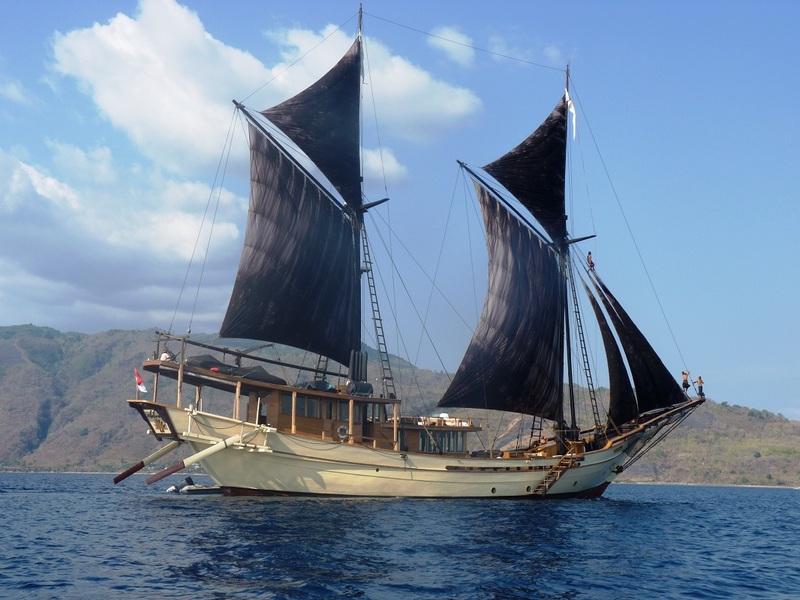 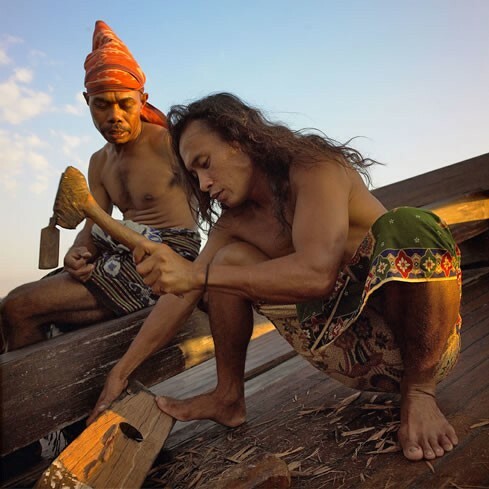 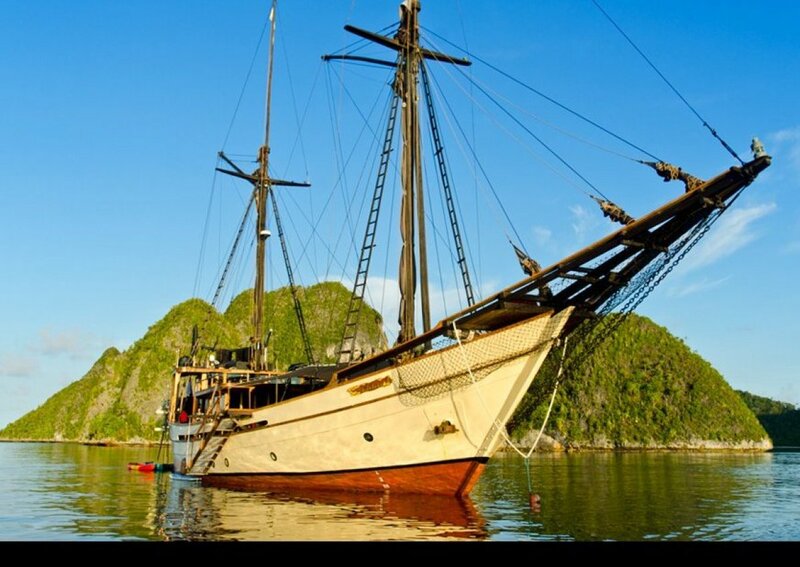 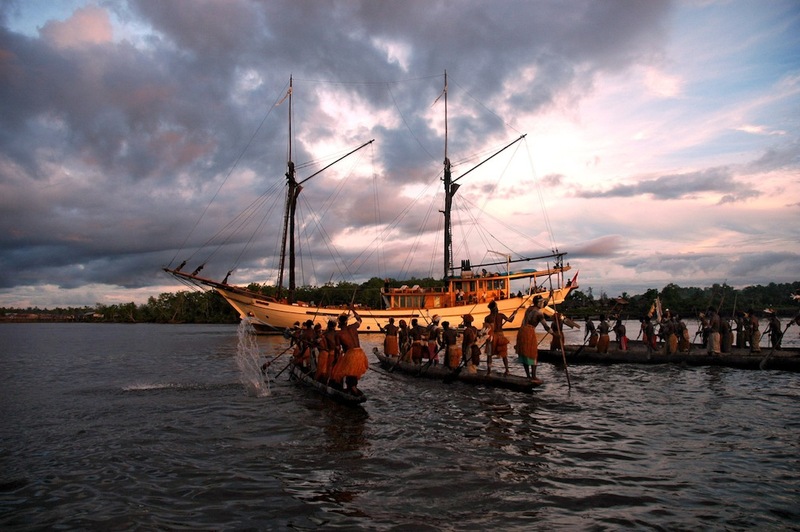 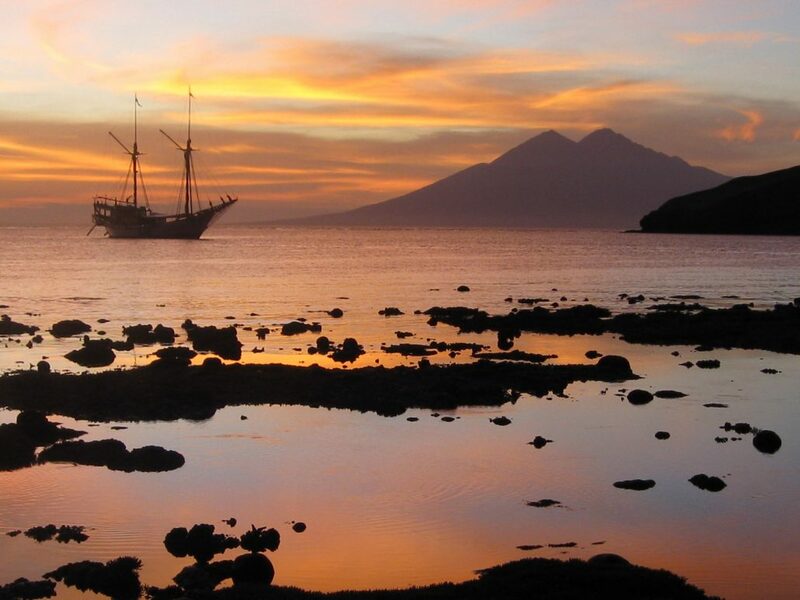 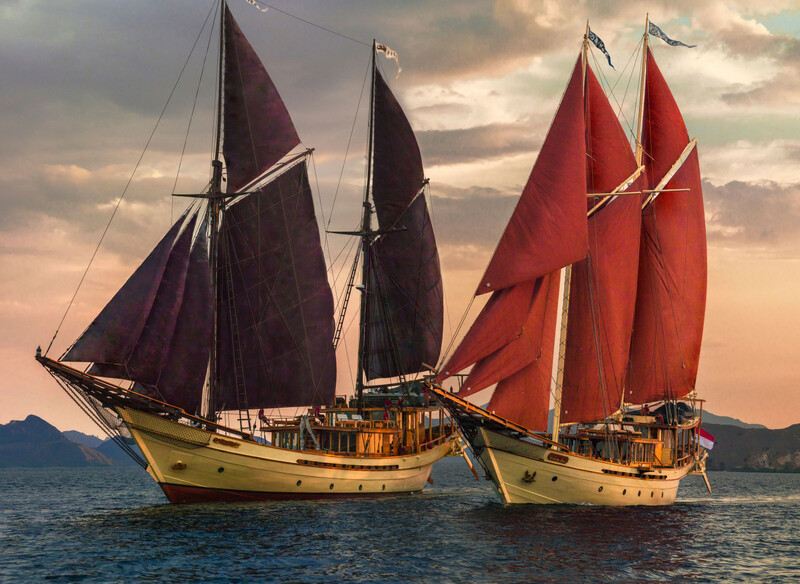 A traditional wooden schooner with as much charm and luxurious comfort as SILOLONA is rare, and while promoting Indonesian traditions and culture, she enchants the most seasoned yacht travellers. 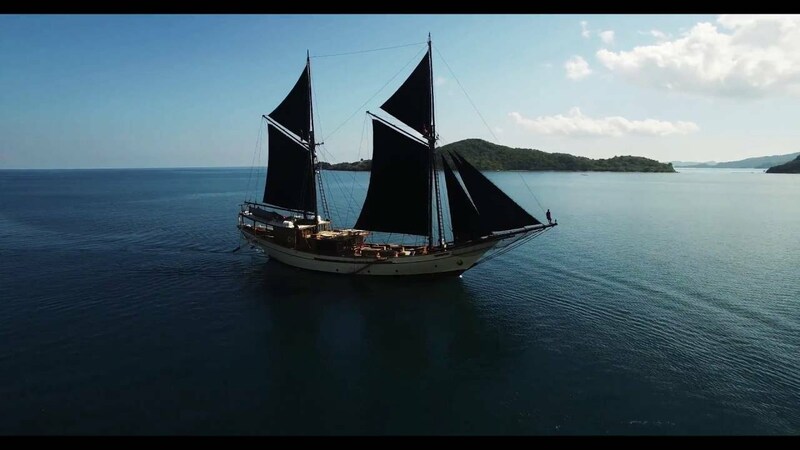 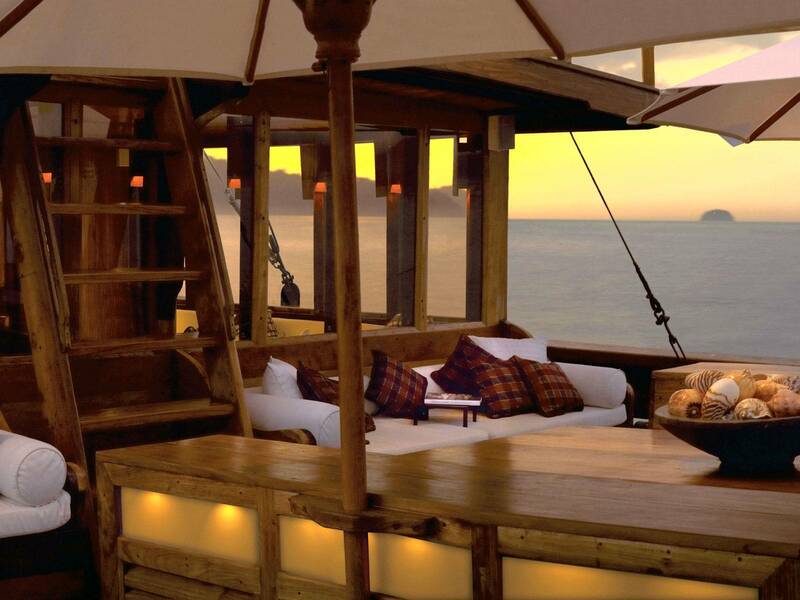 This splendid yacht boasts a combination of a traditional spice island sailing vessel with all of the modern amenities and safety features one would expect in a luxury charter yacht. 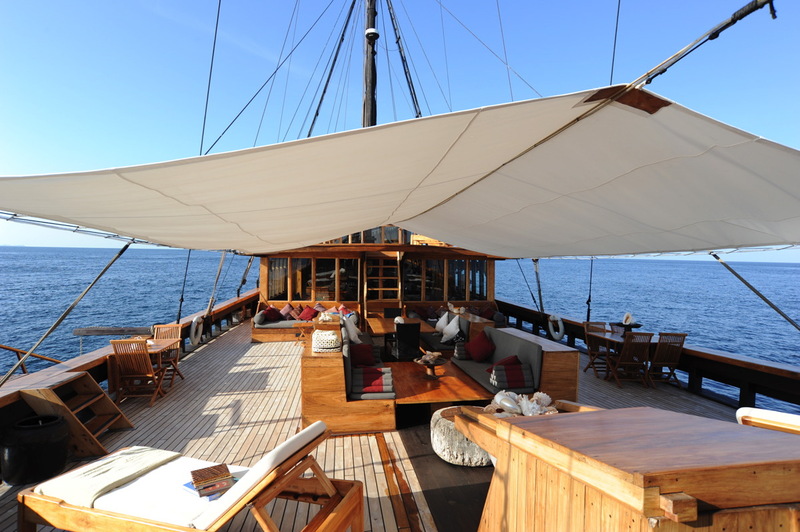 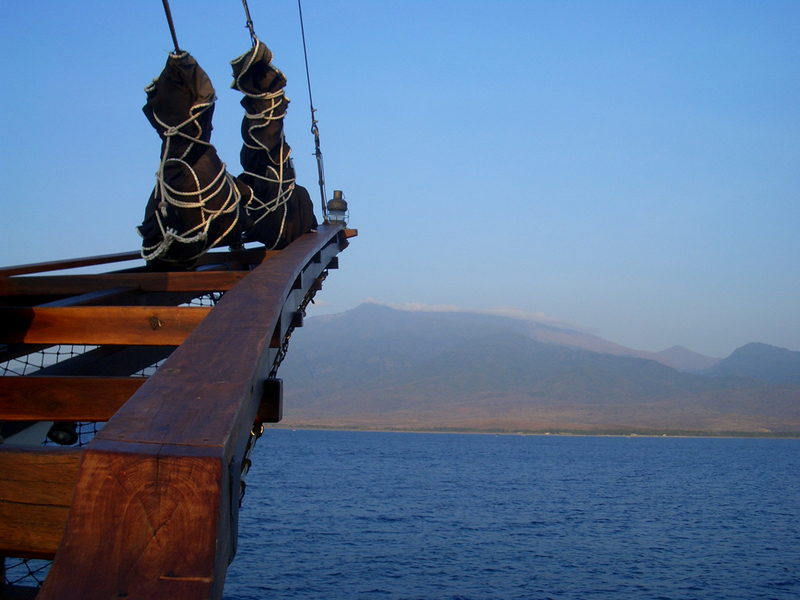 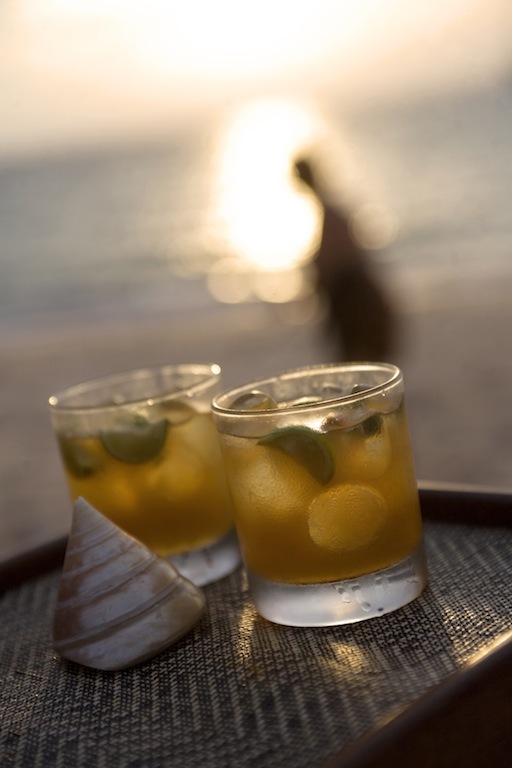 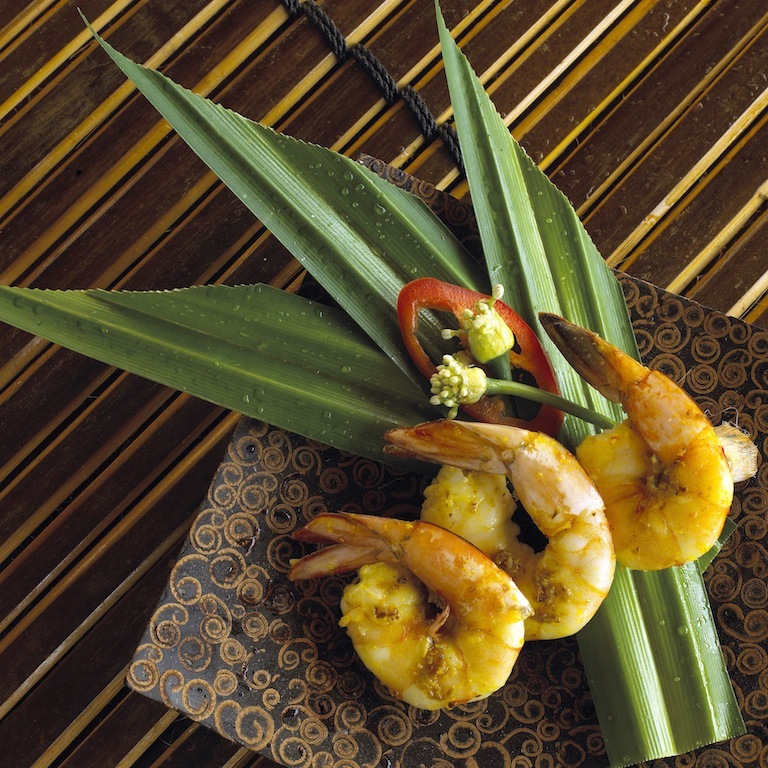 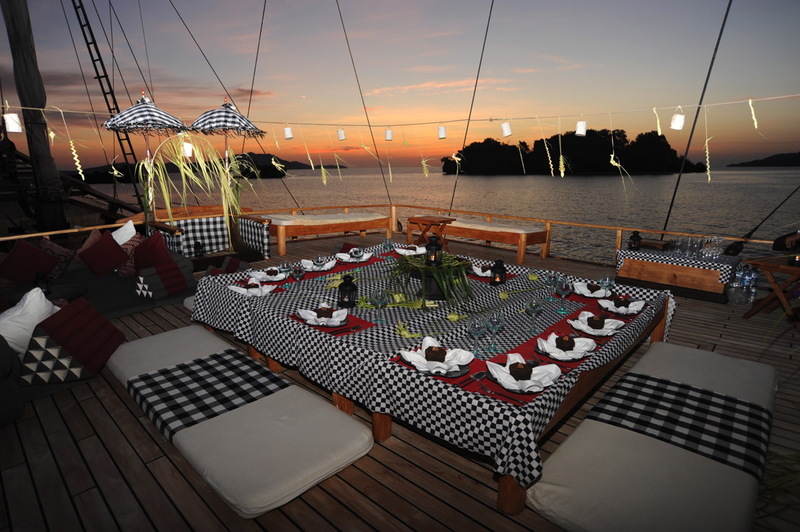 Onboard activities include diving, water sports or spa and massage. 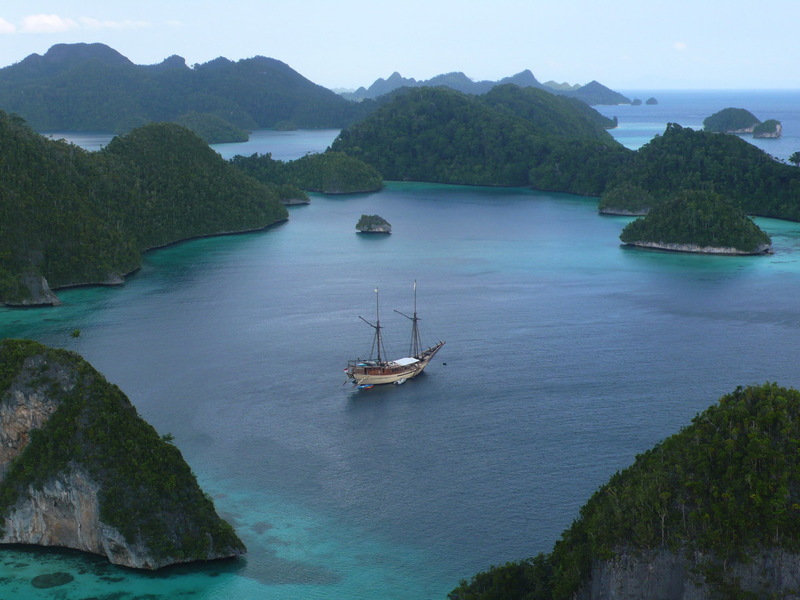 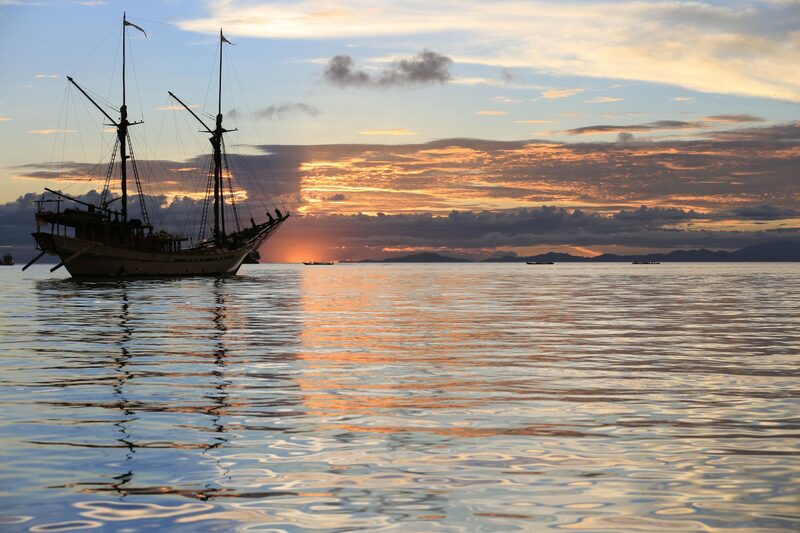 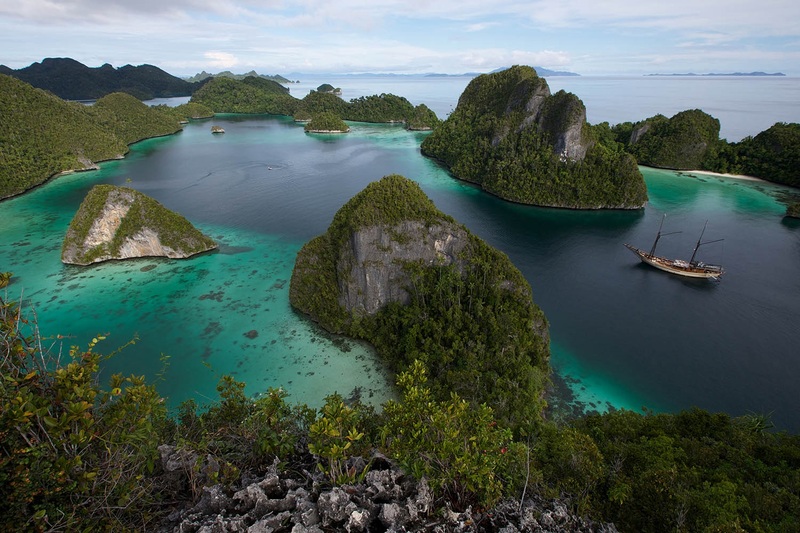 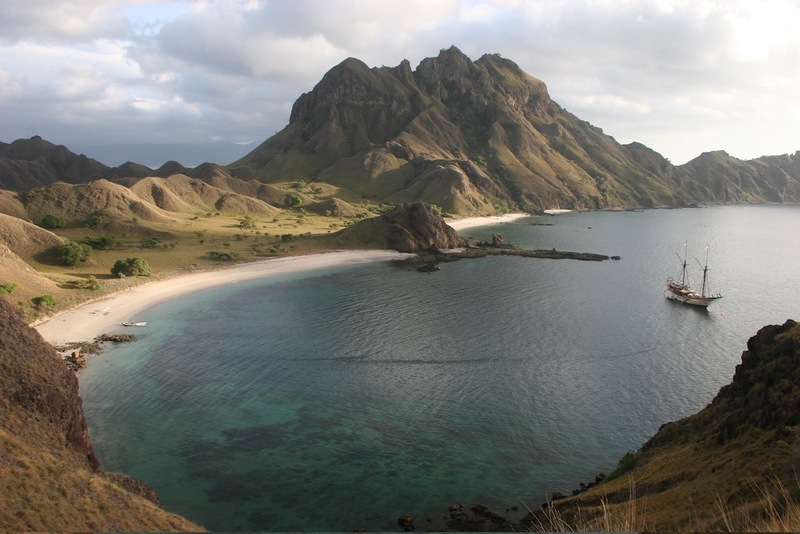 With Raja Ampat and Komodo having the largest biodiversity of pristine marine life on the planet, Silolona is the perfect vessel that will help you to discover the spectacular underwater world of this unique destination. 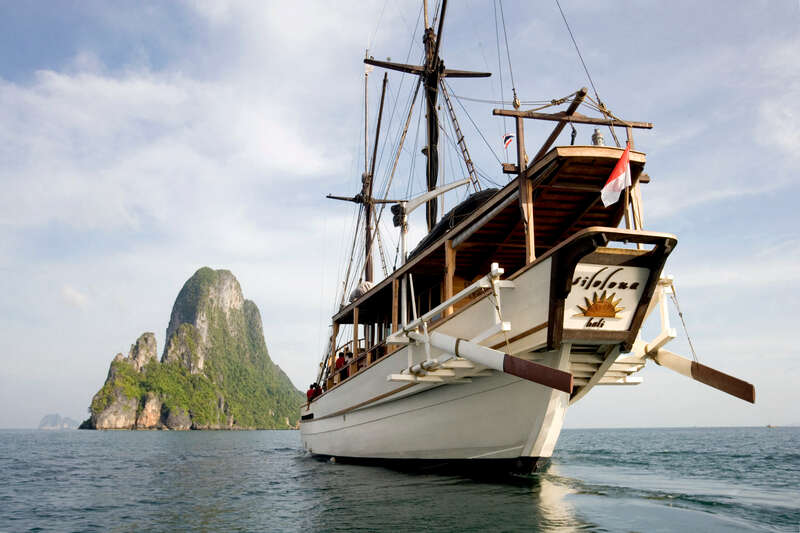 She is fully licensed and equipped PADI Dive Center, with three full size tenders, all divers are guided by the experienced fully certified PADI instructor armed with the list of his 'secret' sites to explore. 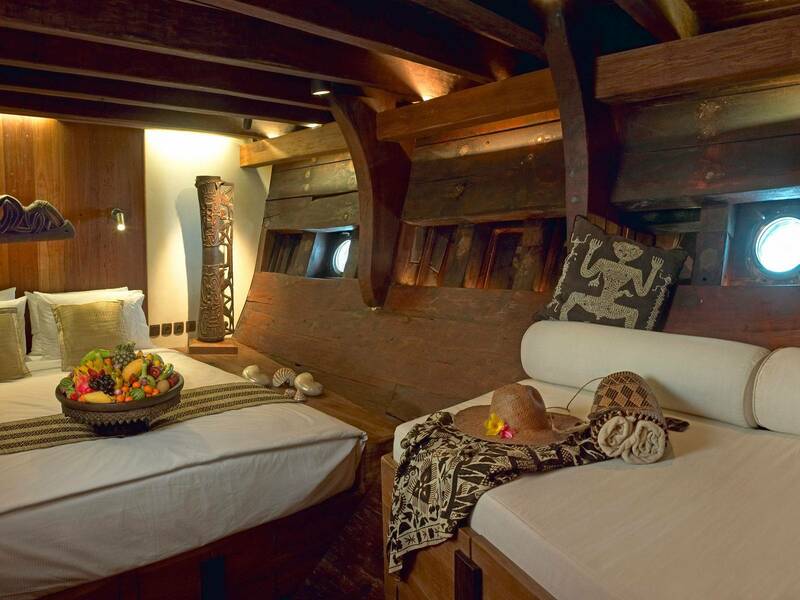 A great way to relax and enjoy your experience aboard Silolona is to indulge in a private massage. 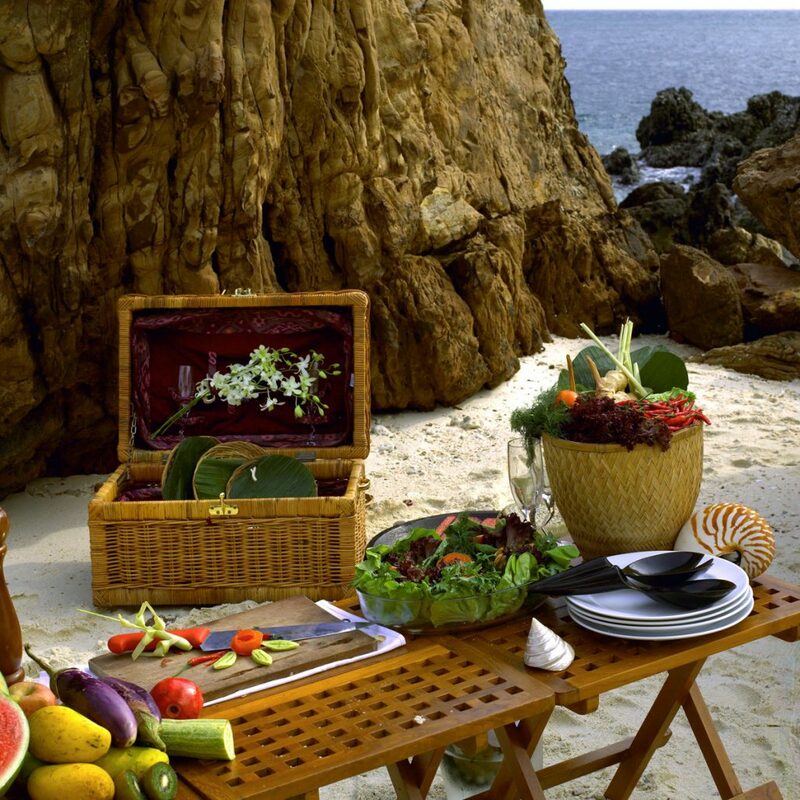 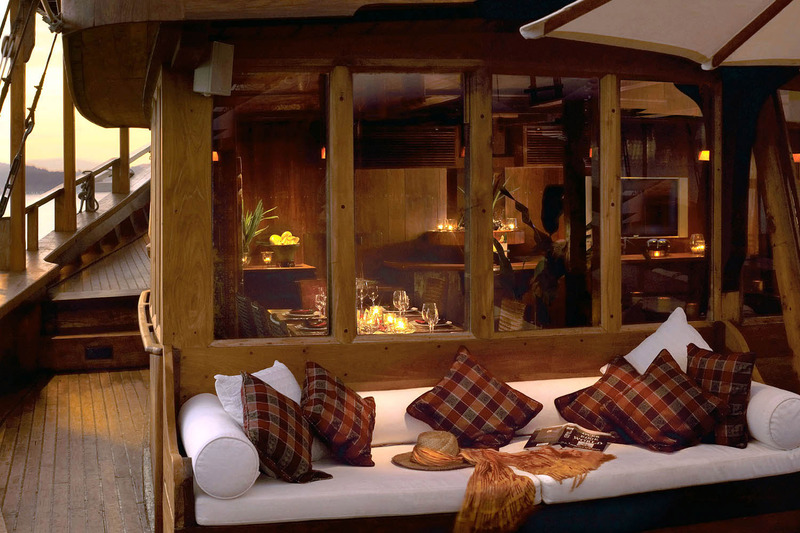 At guest's request, a spa programme may be created specifically to suit ones needs and wishes. 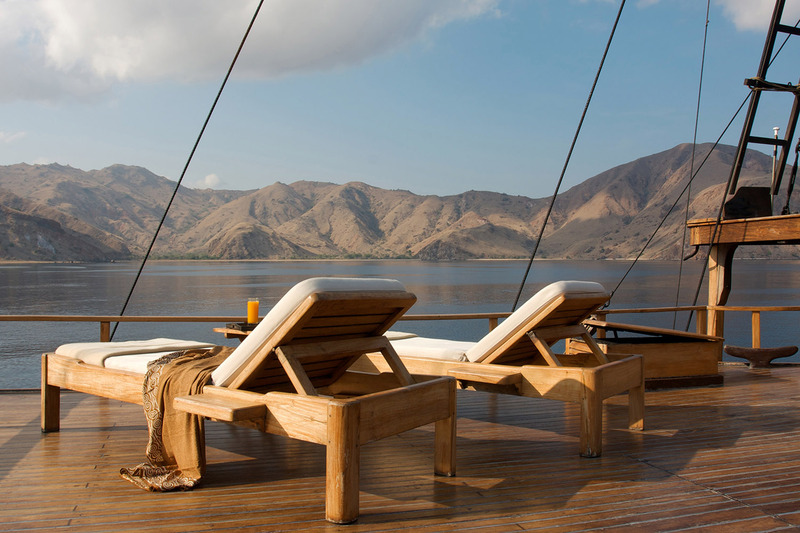 From spa treatments to yoga sessions, guests have the possibility to compliment their journey and revitalise their energies in luxuriously tranquil surroundings, that delight and refresh each sense. 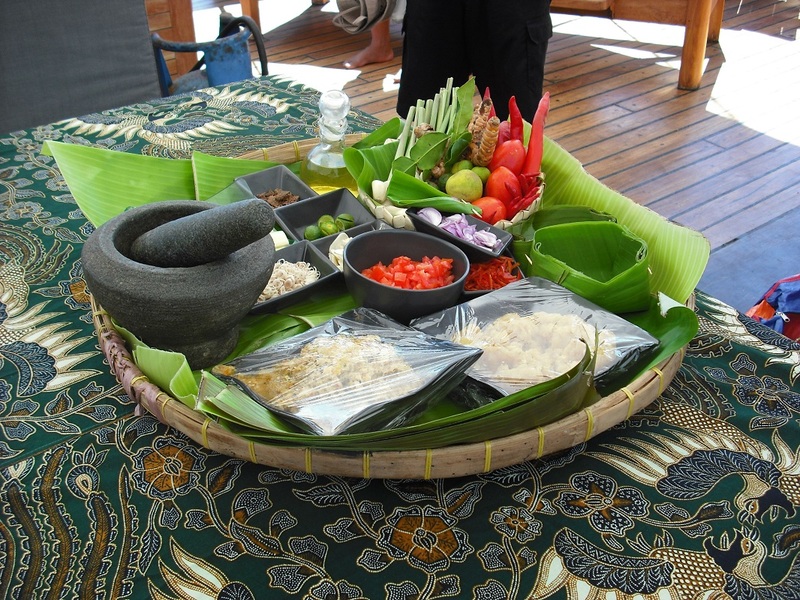 The Balinese and Thai cultures have a ling tradition of natural health and traditional body therapies, including Hot Stones, Deep Tissue and Shambhala Massage. 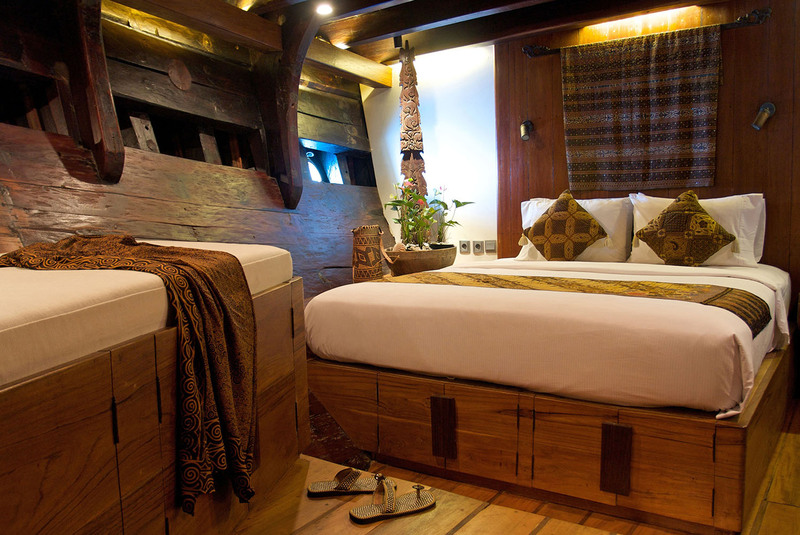 Guest Accommodation 3 Master Suites. 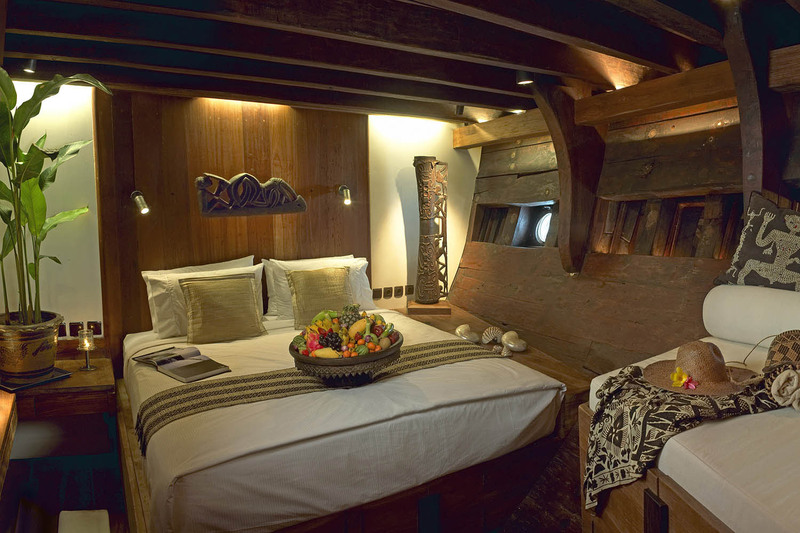 2 Queen suites.The three Master suites all have an extra sofa/bed. 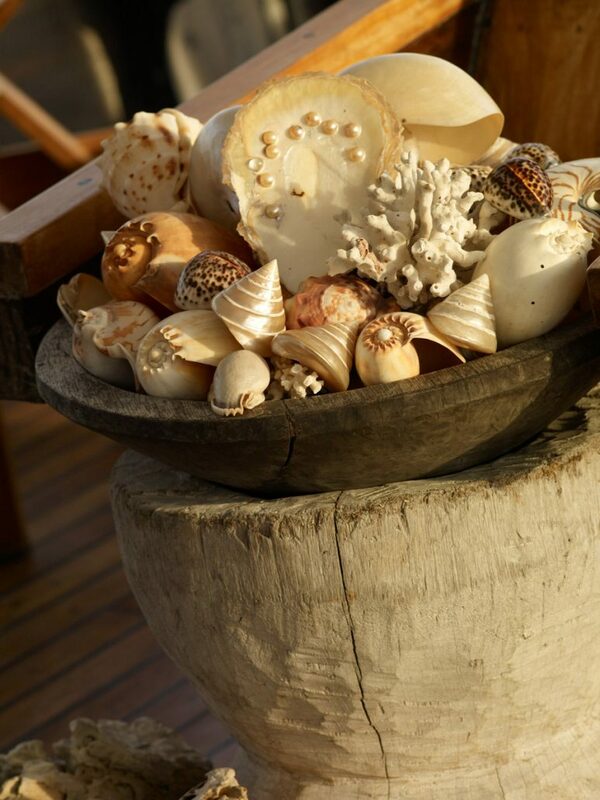 Each meticulously appointed suite is individually styled and accessorised. 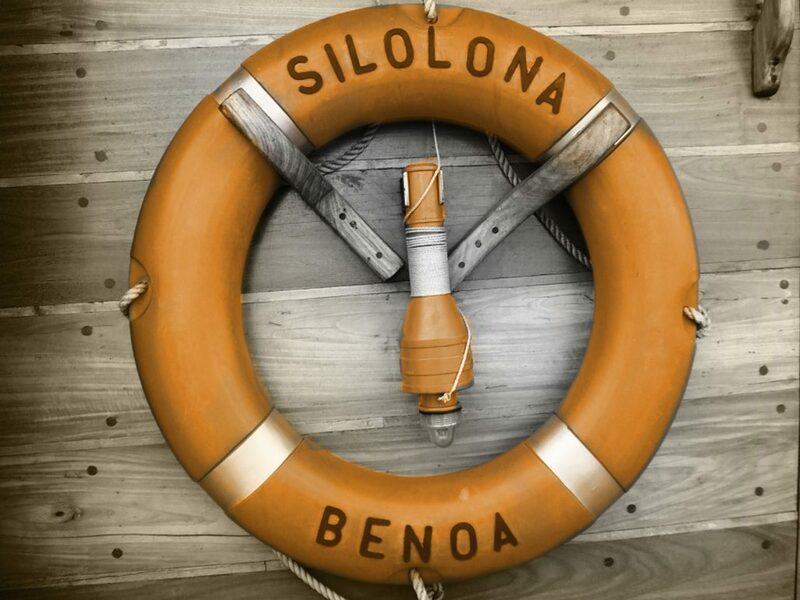 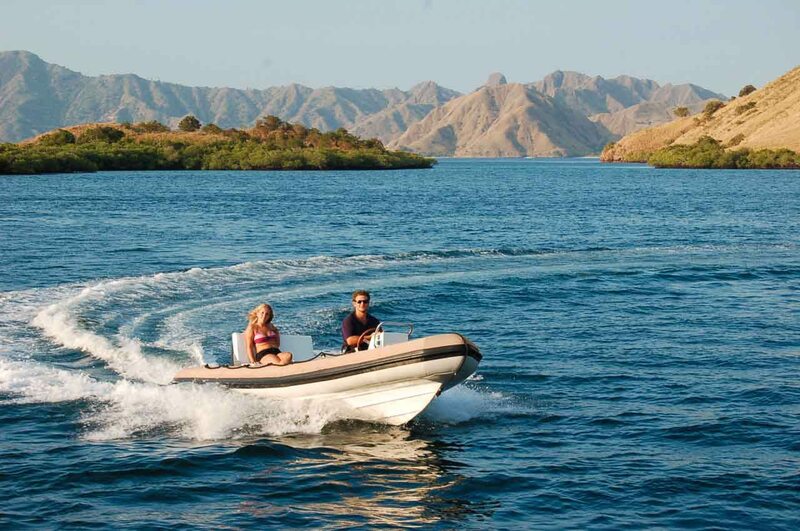 There is a large array of water sports equipment and amenities aboard Silolona, to enjoy such fun activities as water skiing, wake boarding, kayaking, donut, sport fishing, wind surfing as well as snorkelling, to name just a few. 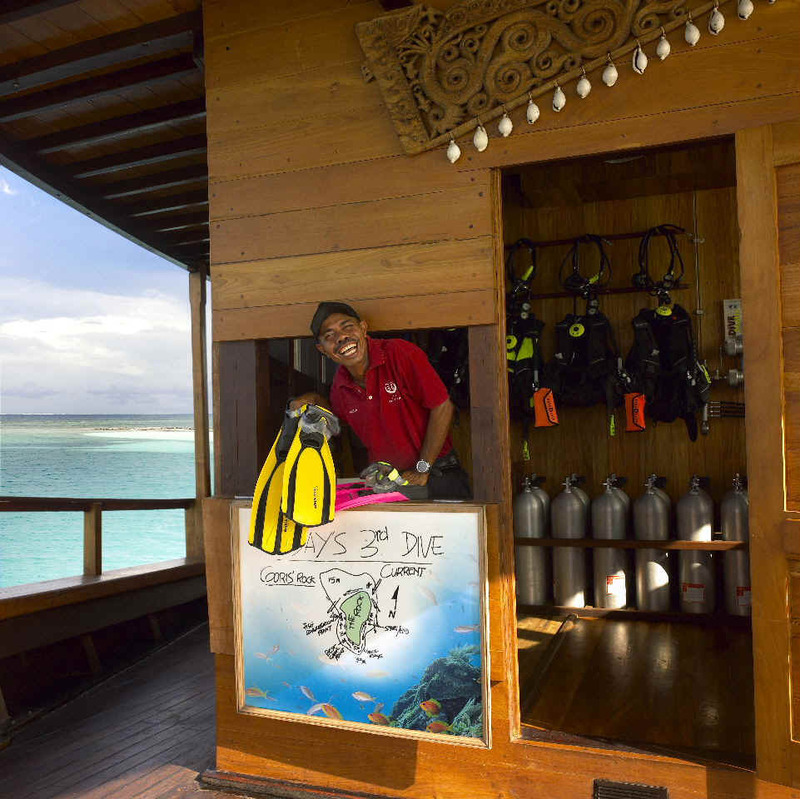 Dive shop onboard with state of the art dive equipment; 2 x Schiffauer air compressors, 20 tanks, complete dive/snorkel equipment. 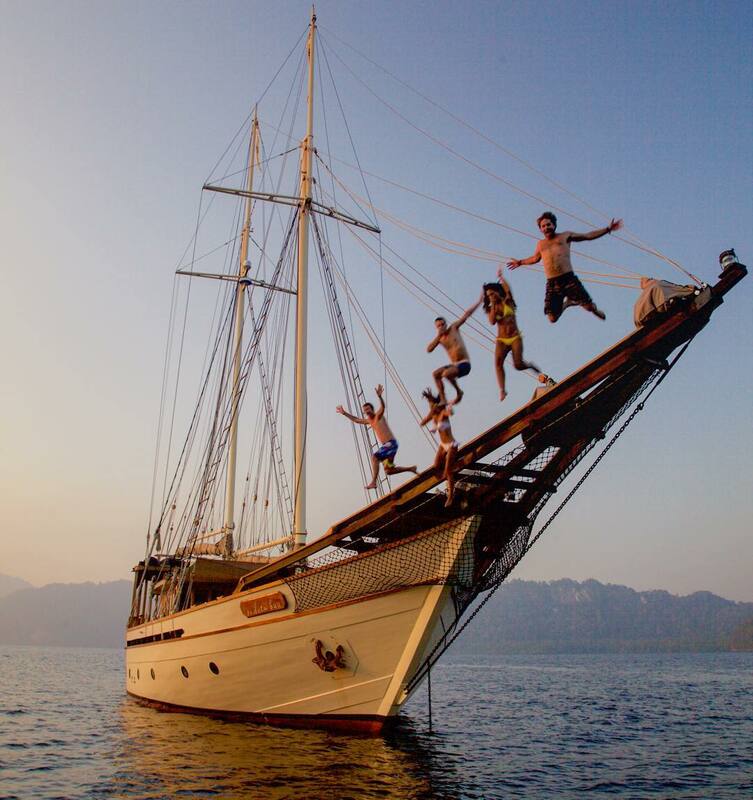 PADI Dive Instructor. 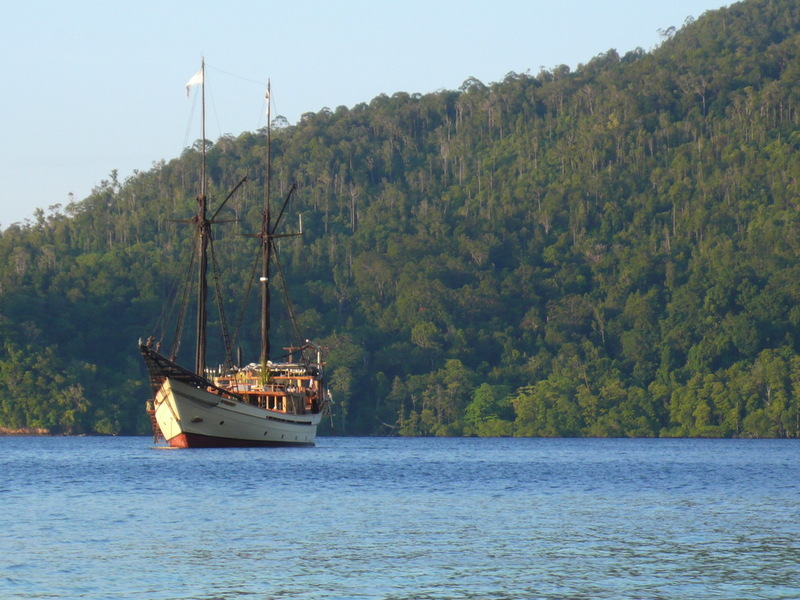 3 RBI tenders Communications VHF, SSB and Ericsson R190 satellite phone.